The Maple Cat father is good at giving directions. He takes lots of notes of the nice places he visits in his little notebook. The Maple Cat mother makes delicious gelato using fresh fruits. She also likes to come up with ideas for new ways to eat gelato. The Maple Cat boy likes to read. Lately, he also enjoys writing his own stories. The Maple Cat girl loves flowers. She is good at growing flowers, as well as decorating places with them. 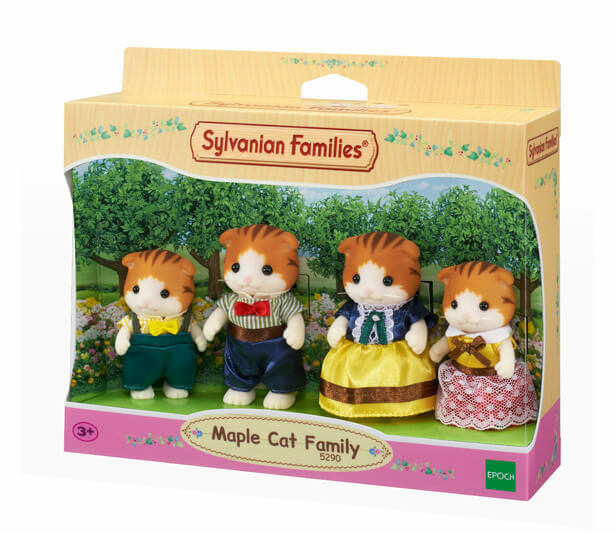 Combine these figures with the Maple Cat Baby and Maple Cat Twins (sold separately) to complete the Maple Cat family. 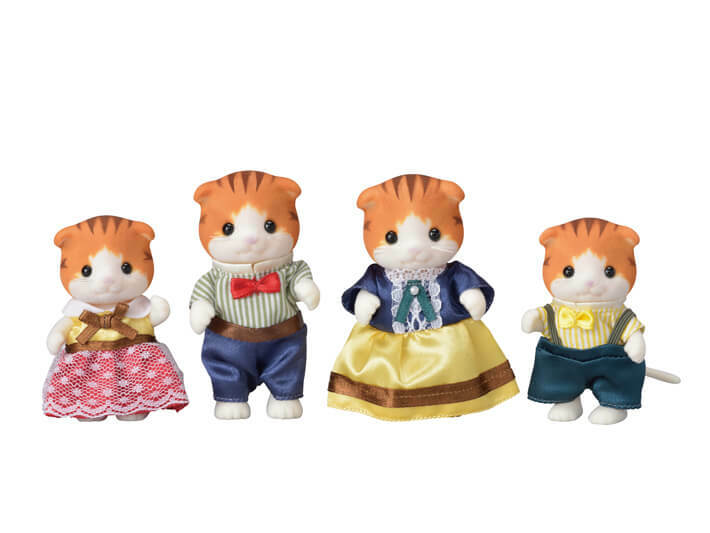 Combine with various houses, furniture and other families for even more fun (sold separately). 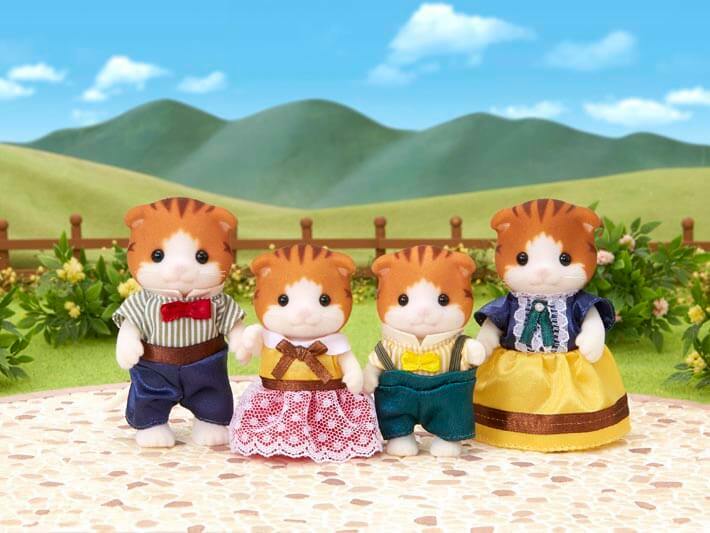 Maple Cat father, Maple Cat mother, Maple Cat boy, Maple Cat girl (total 4 pieces).